So as I sit here watching the 6 Nations Rugby I thought how great would it be to travel from my school all the way back to the UK ready for the Rugby World Cup in September. Is that possible? In reality yes but no, I cannot see my kids achieving this personally but collectively as a school it could be possible in a virtual world. When I look at the journey in which they will undertake, they will visit/pass through some amazing countries. Last month I assigned the middle school/high school students the challenge of getting to the other side of the country in which the main campus is situated. 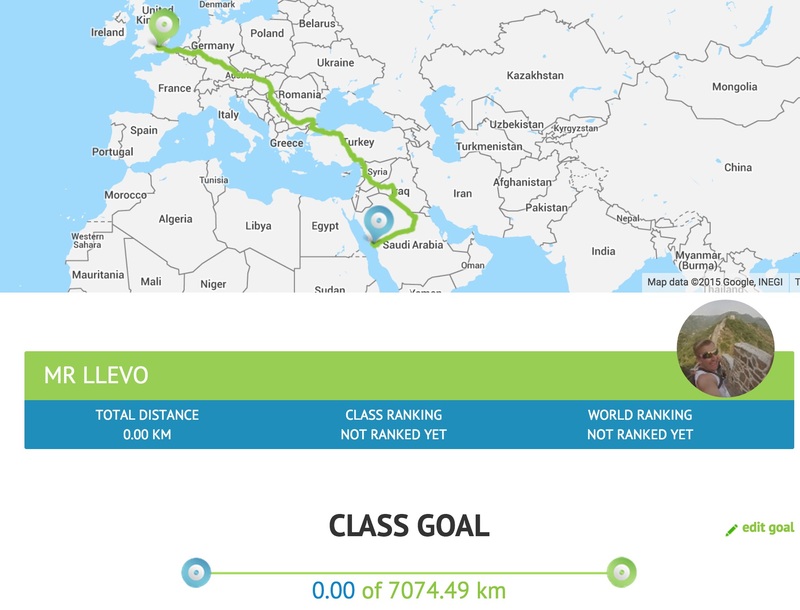 (Active Globe Challenge) Collectively as a school they managed to achieve this in under a month. Now after the students leave school at 3:00pm there is not a lot of opportunities in the community for them to take part in sport. So for them to set goals, exercise, and see their progress is certainly a plus for them and me to see how they are doing outside of school. One day, one student was getting his IPAD out of his bag before leaving for the end of the day. When I asked him what he was doing, he was setting up a tracking app to see how far he would walk from school to his house so he could log his exercise. If you have not yet checked out Active Globe by @mrrobbo, you should check it out. I will keep you updated with how we get on with this challenge.